When it`s fall time everyone looks forward to Autumn crafts. Almost everything changes. Not only do leaves change their colour from green to golds, reds, and browns, people also change their colours. Hat and coats with warm tones are worn and melancholy faces too. Nuts and berries and conkers are scattered about while the harvest is gathered with good cheer. We have all this to inspire our creativity so what have the KKC crew cropped up for this golden season? 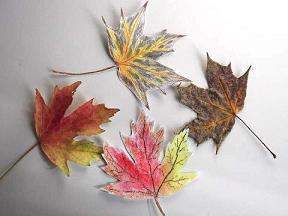 Yes, what better way to start of our fall kids crafts with a project using Autumn leaves. 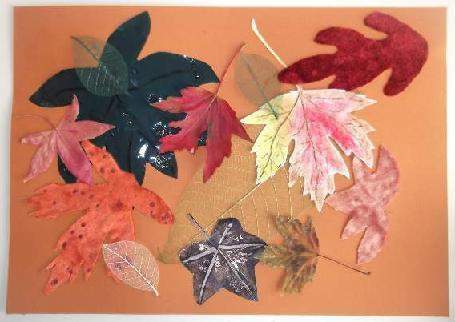 In this activity not only will you collect different types and colours of leaves but learn to draw them using pastels or pencils in our Autumn Crafts leaf art . One the most exciting things about the fall is the shorter days and longer nights. 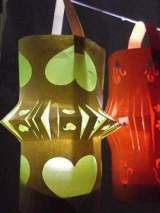 Kids don`t need to go to bed because it`s dark but can keep busy making fun paper lanterns. The following Autumn crafts projects are on the back boiler for the KKC crew so look out for them. More leafy stuff! Make a mobile of falling leaves. This time of year is full of movement. It can get rather windy and look at all the sweeping up people do in the fall. 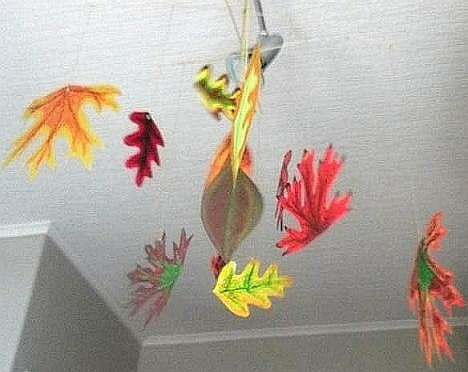 This mobile will swirl around above your head like leaves being blown off the trees and tossed about by the wind. What about a conker craze. No, not the smashing kind, but making a crafty project with them. 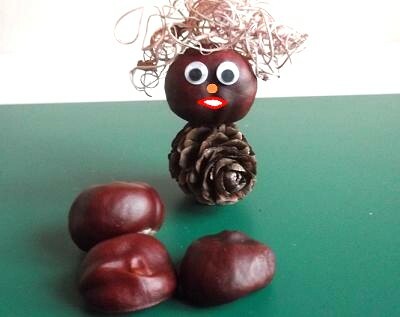 Conkers are everywhere and come in kool prickly cases which I`m sure you can make use of for some interesting figures and constructions. Now that the trees are losing their leaves and some pruning of branches are taking place, take the opportunity to gather some and make a money tree. We all have to earn our pennies some how, right?